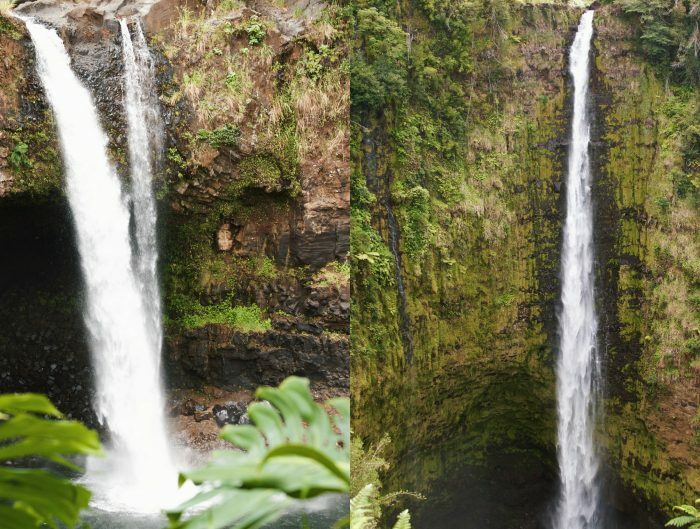 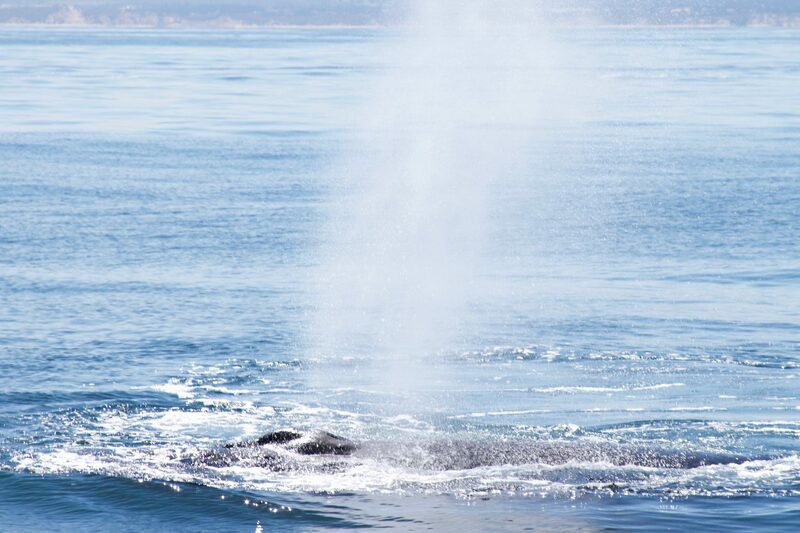 When is the best season for whale watching? 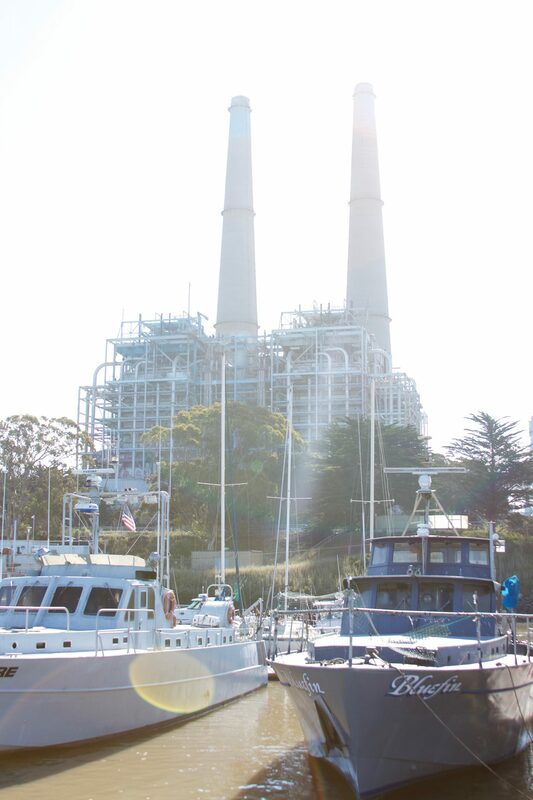 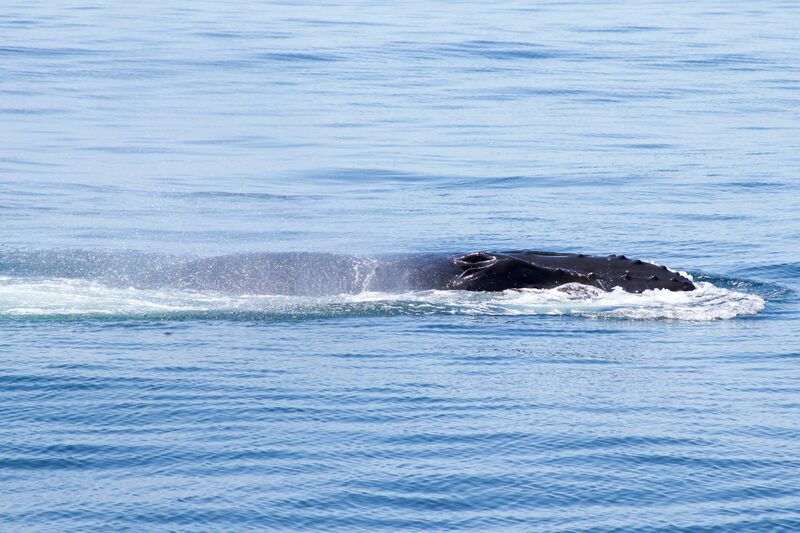 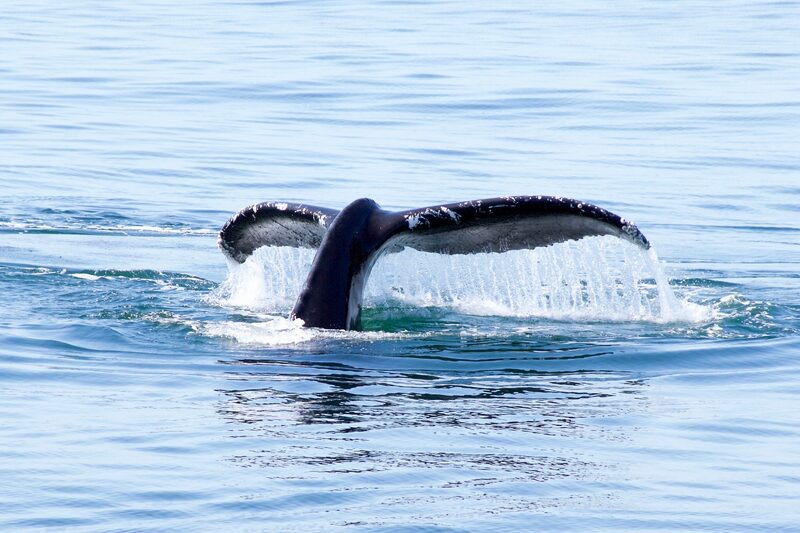 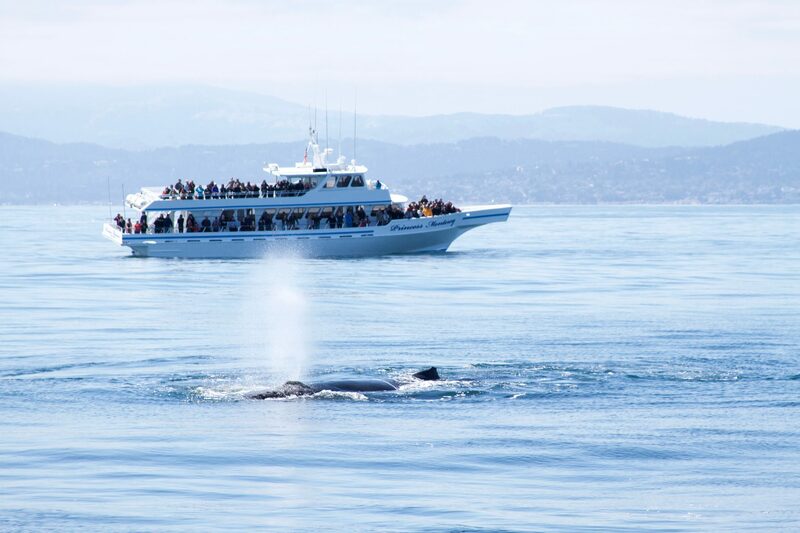 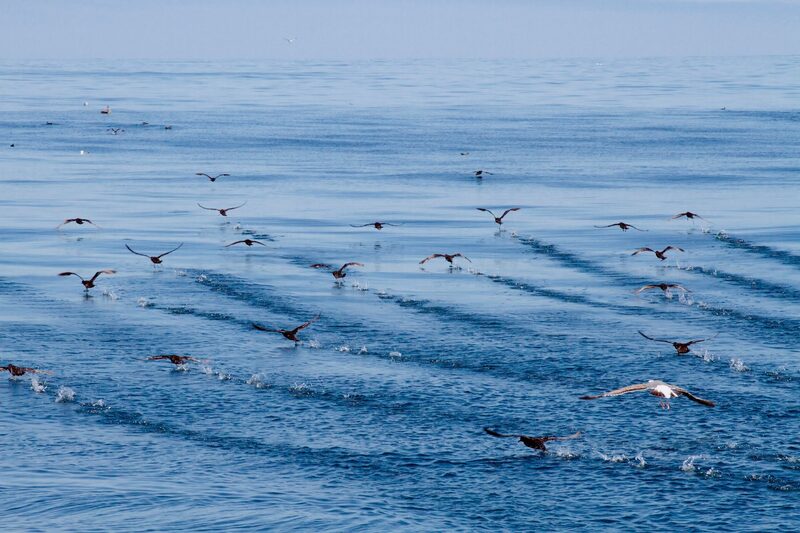 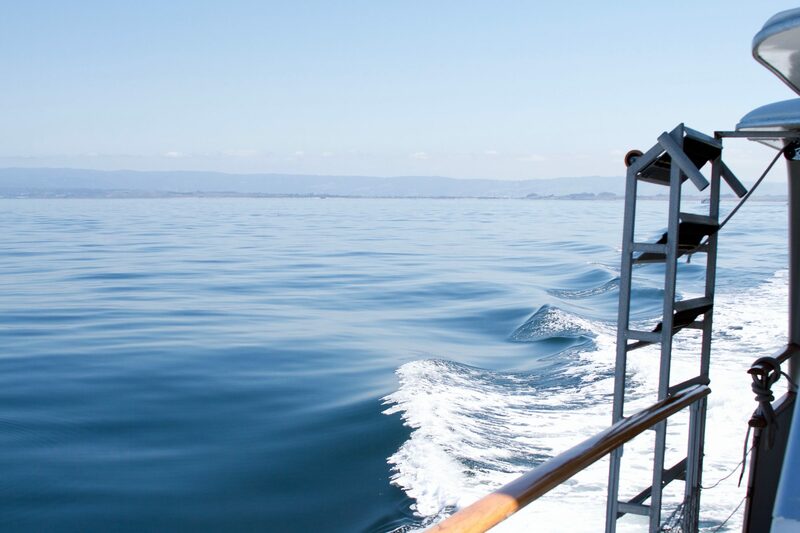 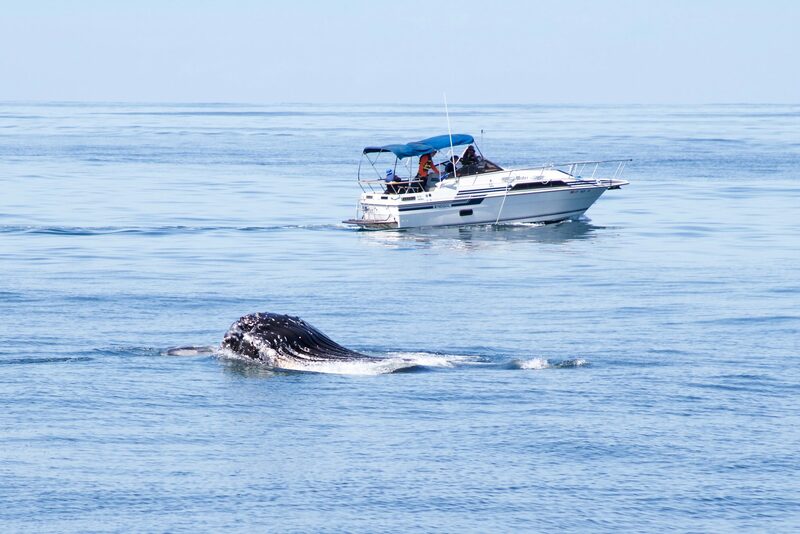 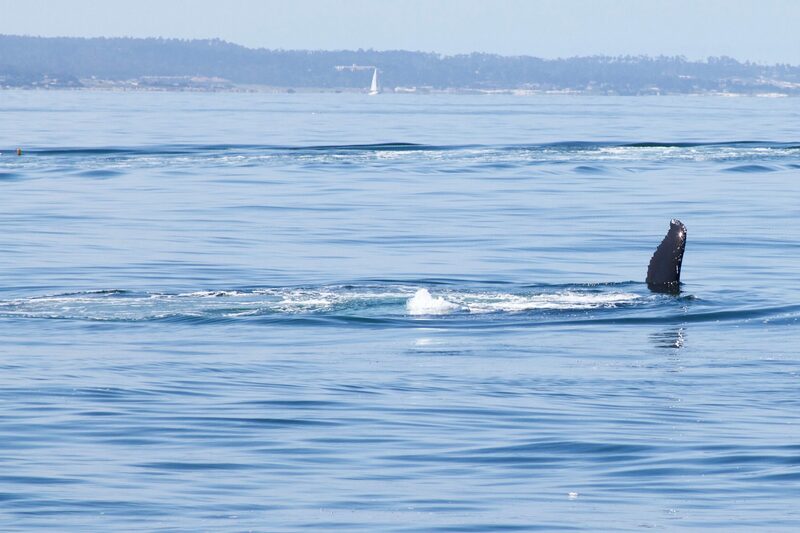 Along the California coast in the Monterey Bay area, whale watching is a spectacular year-round event. 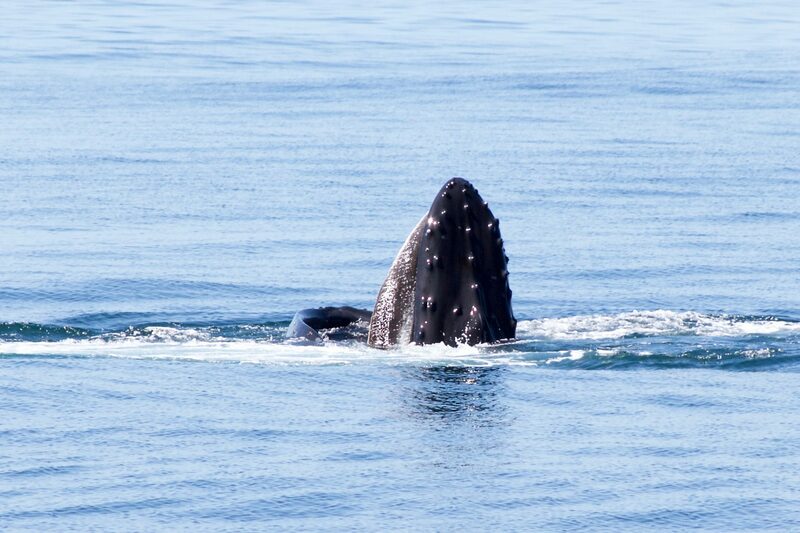 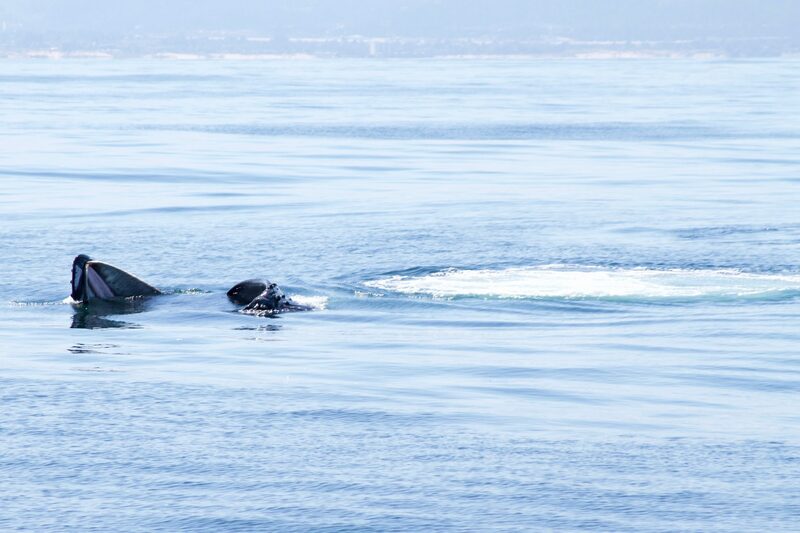 Out in California, whale watching is a year-round attraction that doesn’t depend on chance or good luck as feeding seasons and migrating seasons bring different types of whales to the California coast throughout the year. 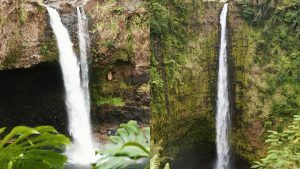 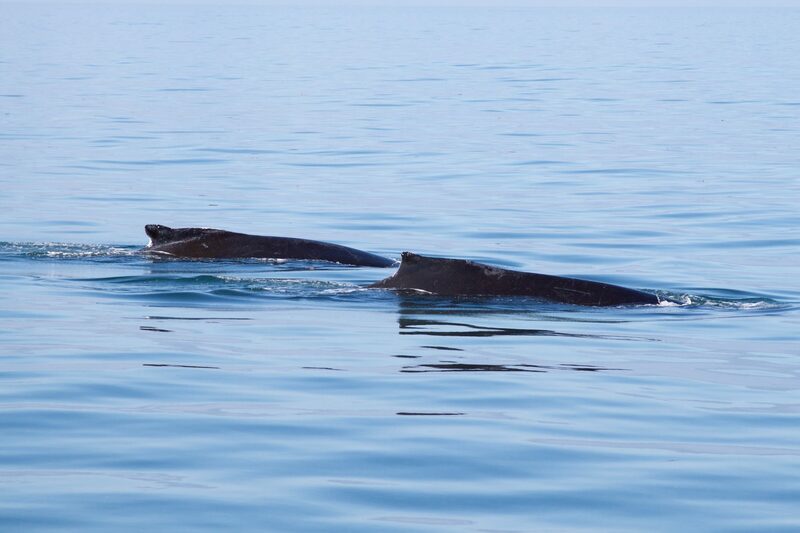 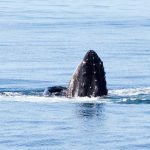 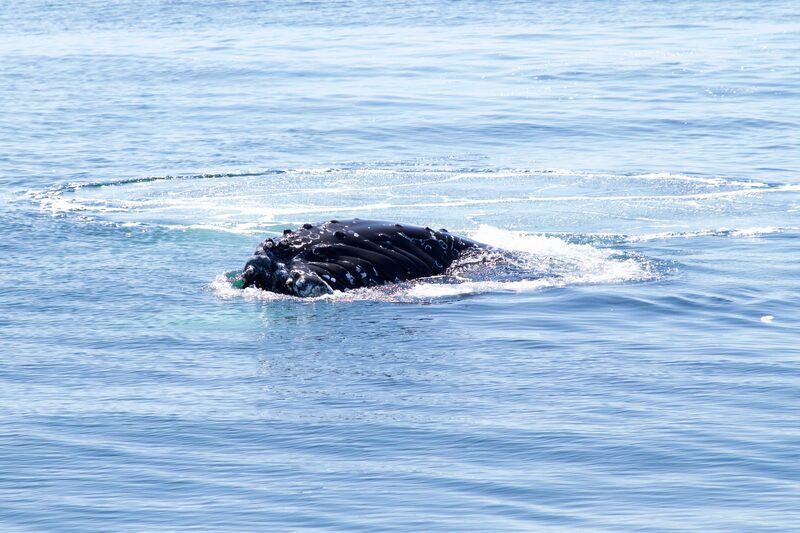 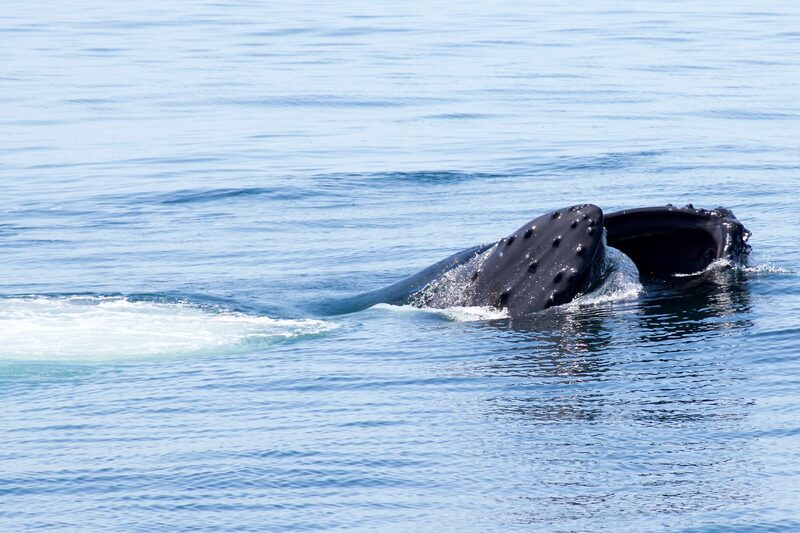 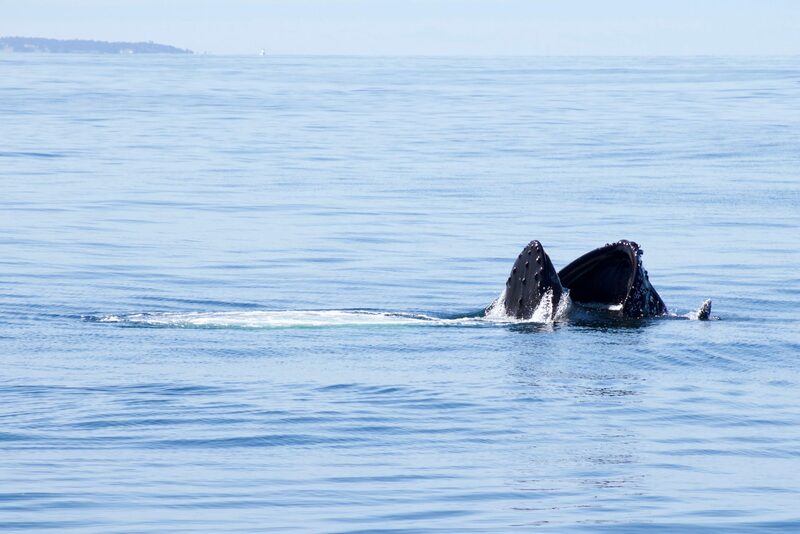 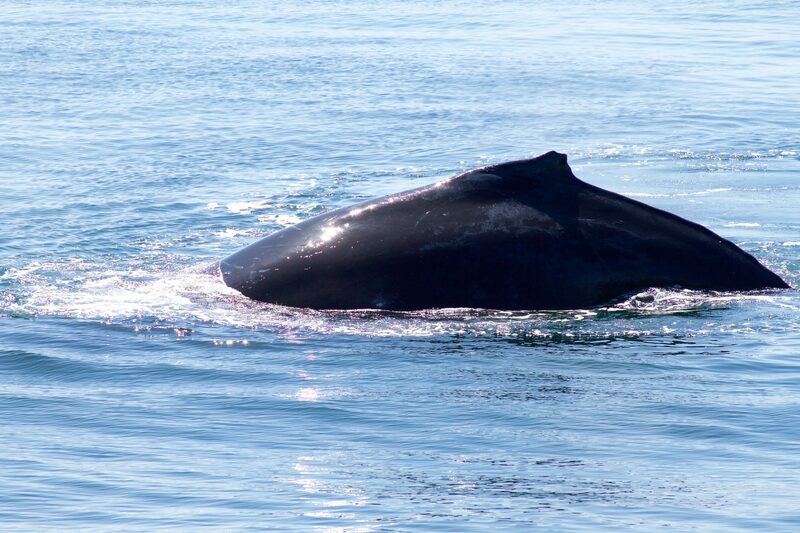 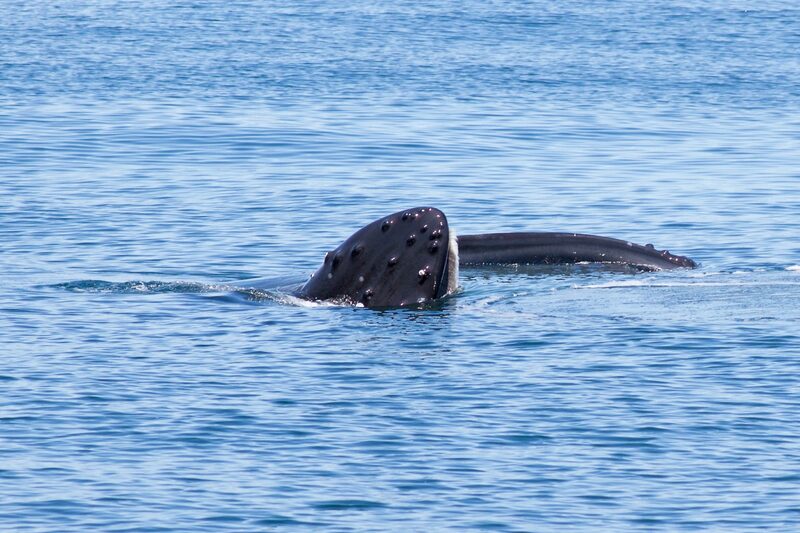 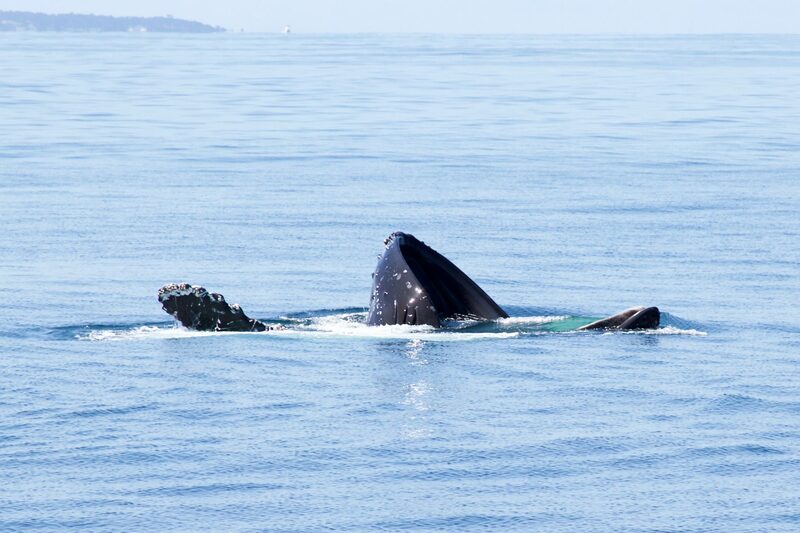 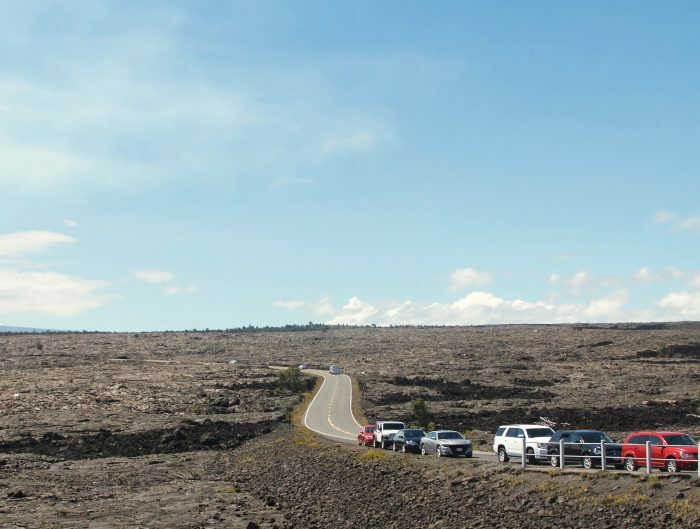 The spring and summer seasons that bring warmer weather to the West Coast–summoning beachgoers to return to the sand–also marks a similar phenomenon that happens out in the water with the return of a different, much larger kind of mammal: the humpback whale. 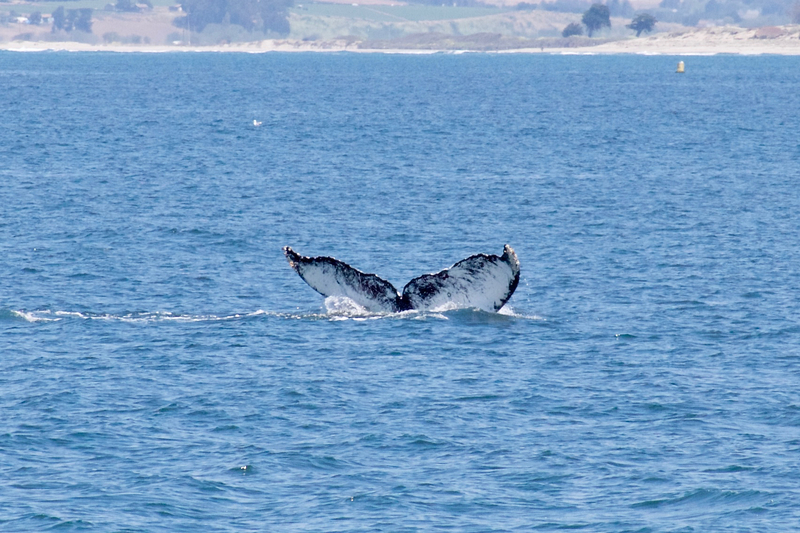 The Monterey Bay’s nutrient-rich waters turn into a krill-filled buffet for humpback whales in the spring and summer months. 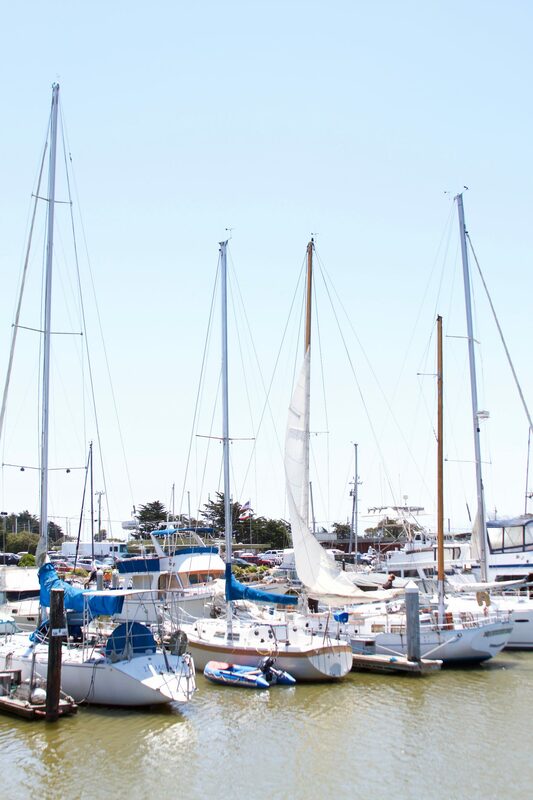 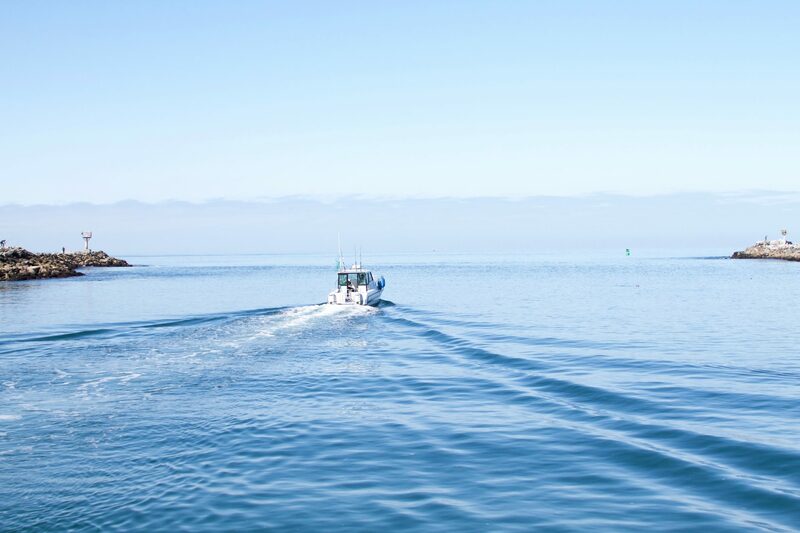 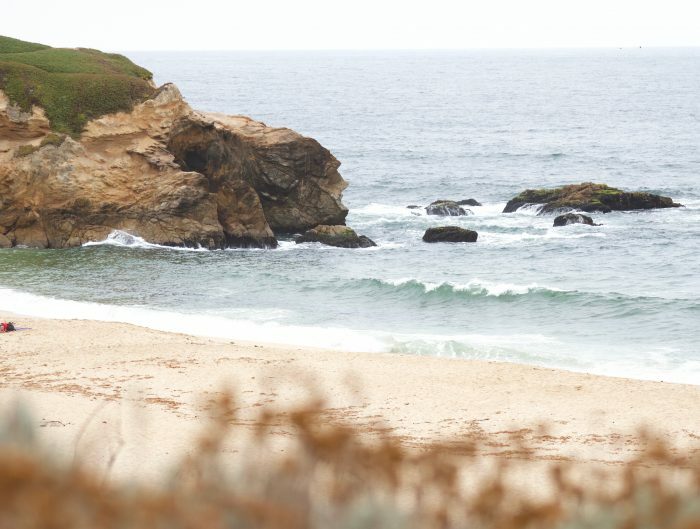 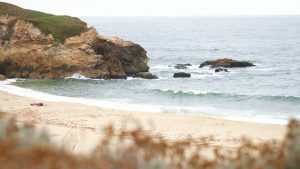 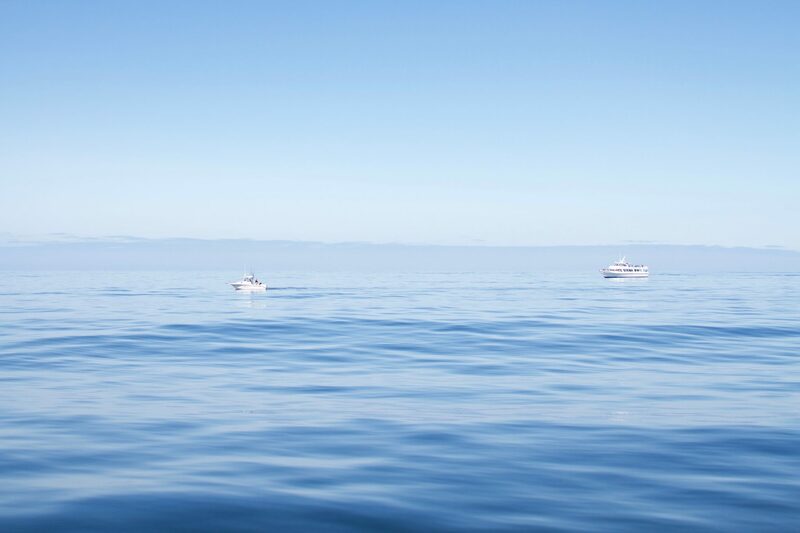 On calm mornings, when the water of the bay is glassy and still, whale sightings can be seen all around the bay as the whales come up to catch their food or take a breath, sometimes even just a few miles out of Moss Landing Harbor, located between Santa Cruz and Monterey. 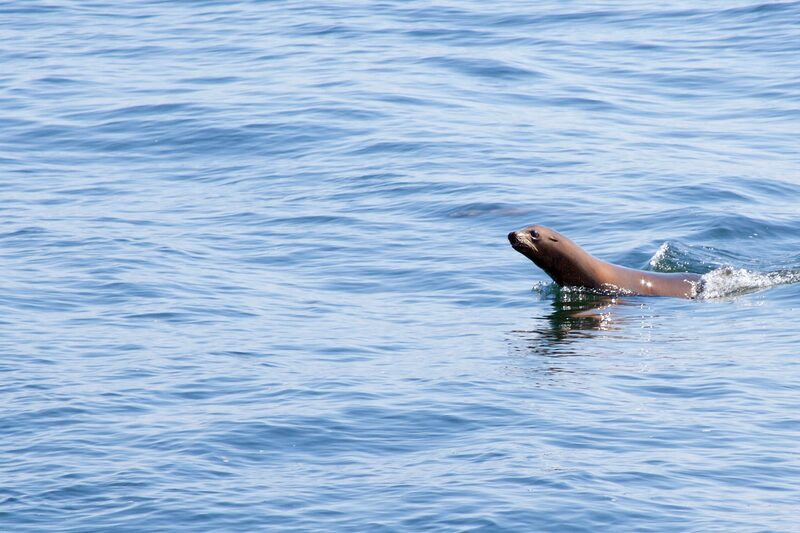 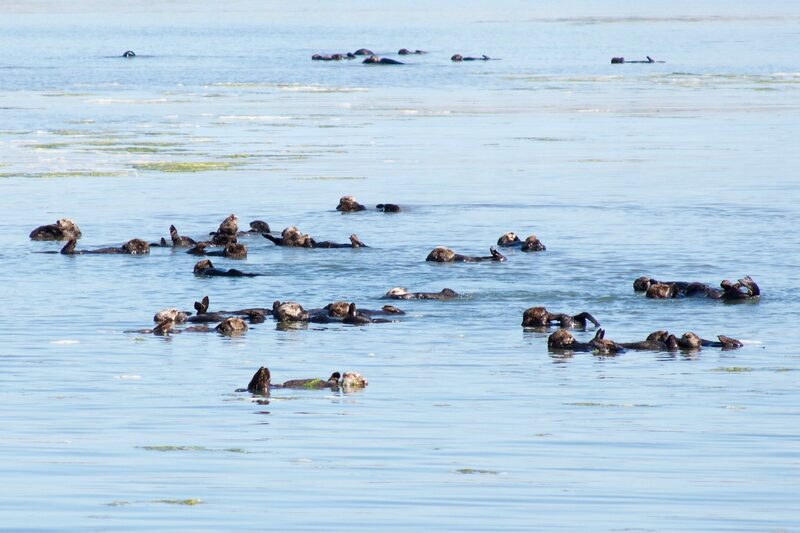 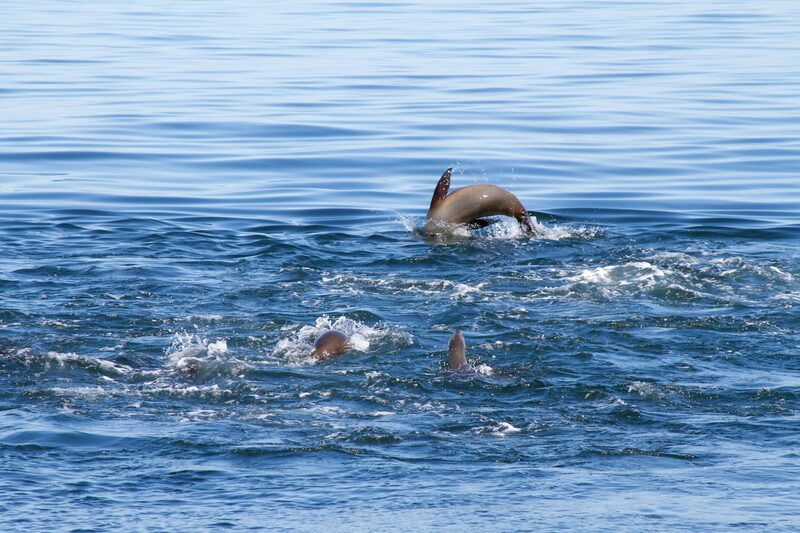 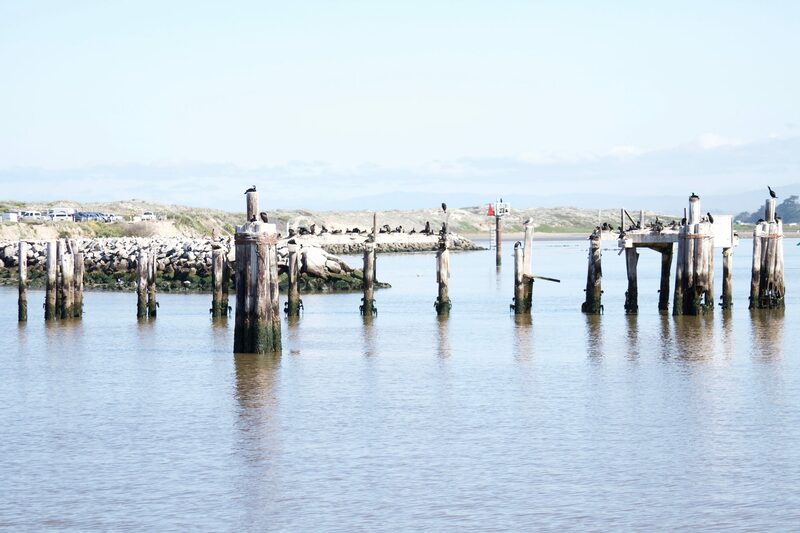 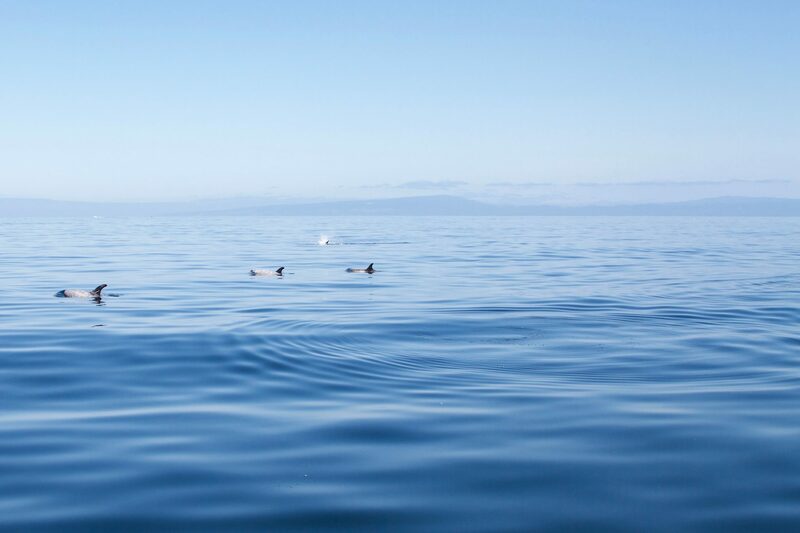 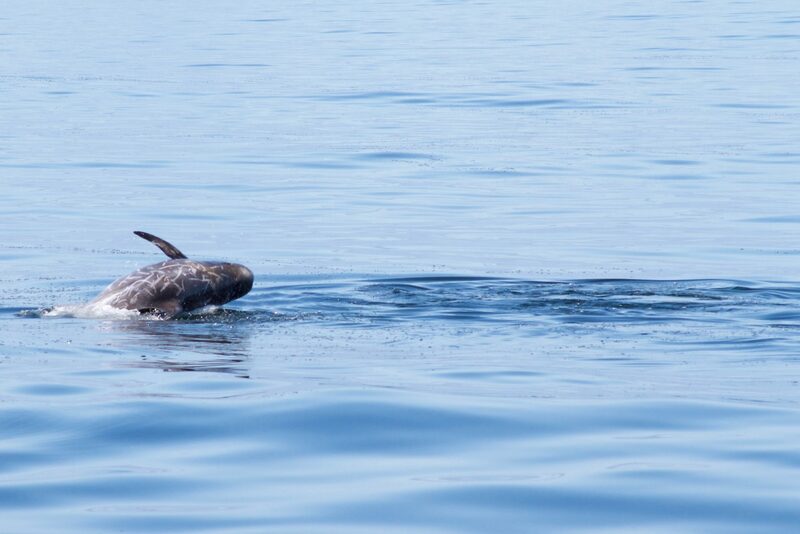 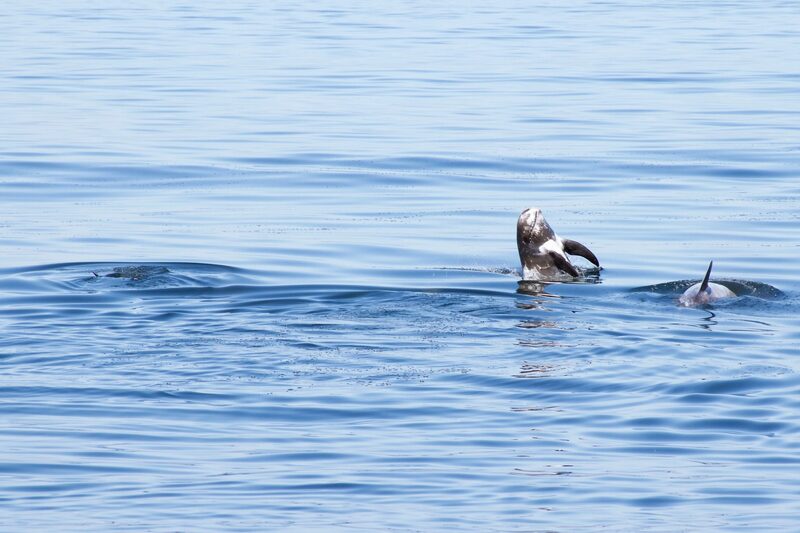 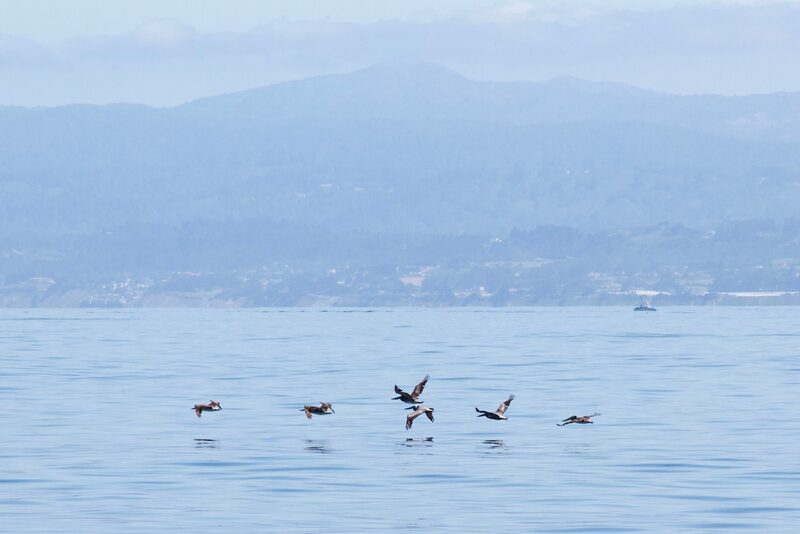 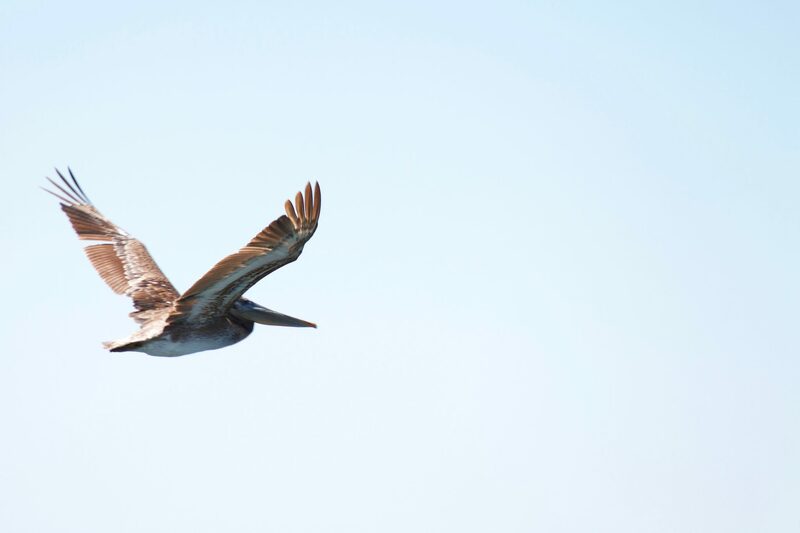 Some dolphins, such as the Risso’s dolphins, rafts of California sea lions and plenty of birds can be found chasing food too around the Monterey Bay year-round, while large groups of Pacific harbor seals and Southern sea otters can be found floating around Moss Landing Harbor.